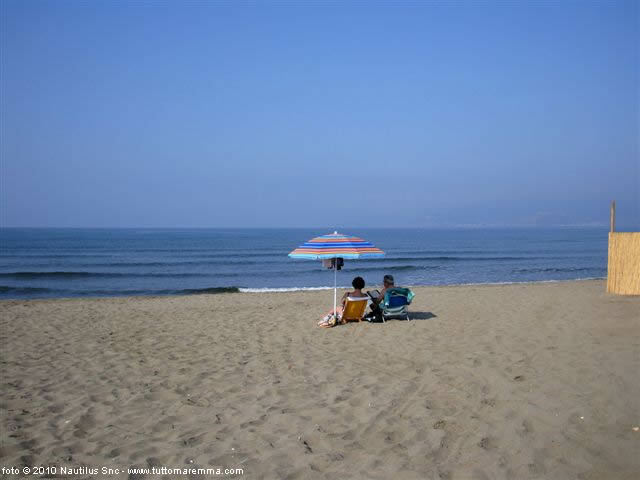 Ansedonia beach: a travel guide about the beach and the coast in Ansedonia, with photos, tips and map. 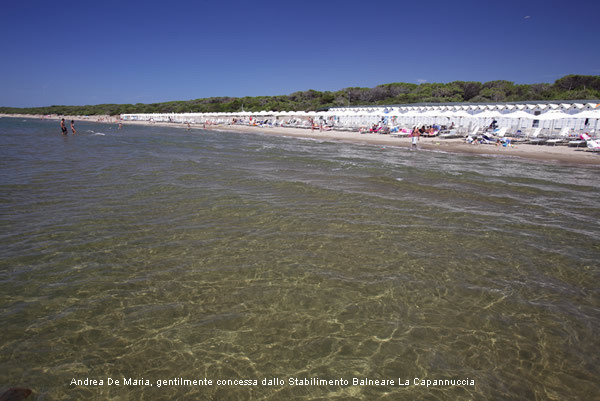 In Ansedonia there are two different beaches: the first (on the north-west side) in front of Argentario and the second (on the south-east side) towards Capalbio coast. 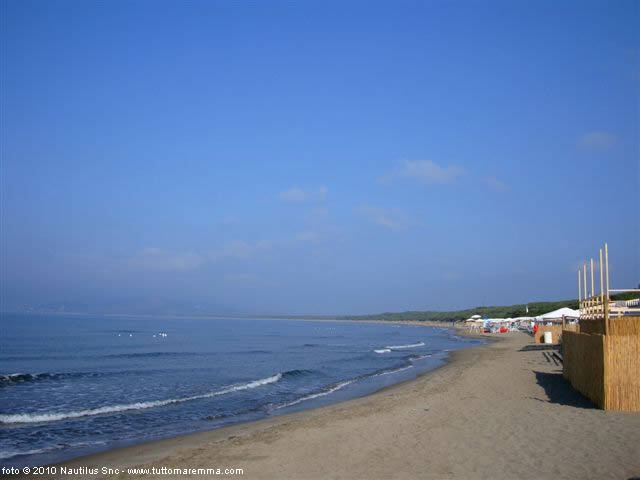 Both of them are sandy and offer areas with free acces or equipped beaches, bars and restaurants. Diving into the sea, the water remains low for several meters from shore. 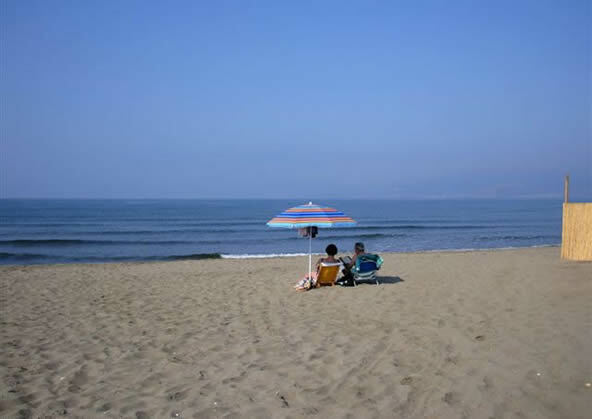 Ansedonia beach facing Argentario is the final part of the pillow Feniglia. Behind the beach there is the wonderful Forest Reserve pinewood, in which you could glimpse one of the many deers living there. 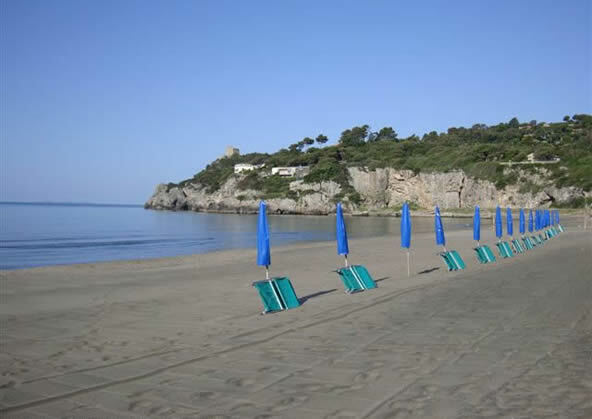 In the very first part of the beach there two equipped beaches with bars and restaurant. Going forward the atmosphere changes completely: there is a very long deserted beach that represents a very fascinating and charming place for walking during the winter, when storms bring tree trunks on shore. 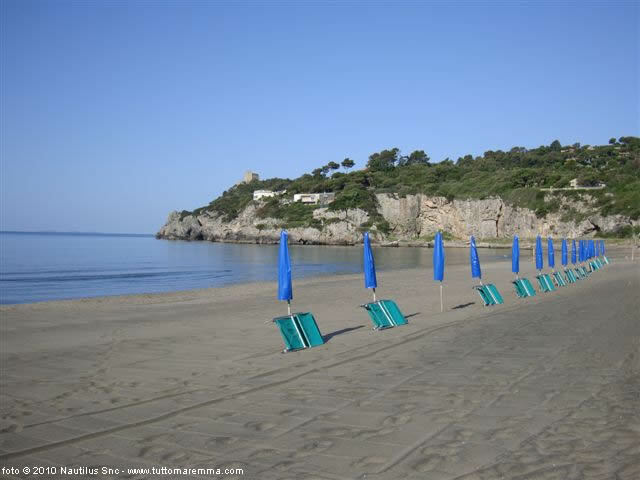 The beach facing Capalbio is considered the initial part of the coast that continues to Lazio Region. 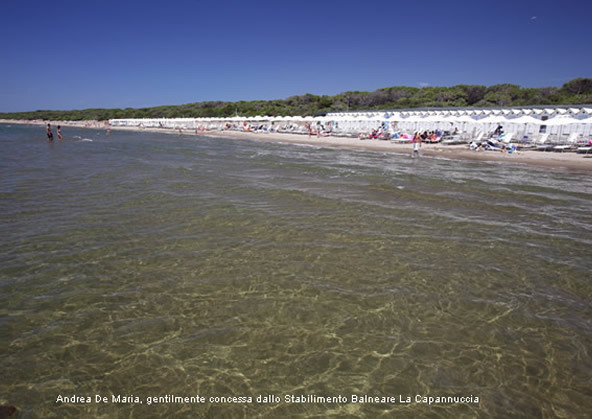 You will find an equipped beach with bar and restaurant, but the sandy coast is long and the space doesn't miss. 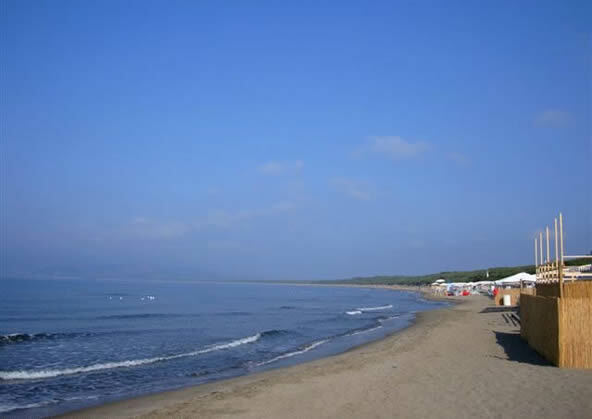 This part of Ansedonia coast is characterized by the presence of Torre Tagliata, an ancient Spanish tower also known as Torre Puccini (because it was one of Giacomo Puccini’s houses); other particularities located by the sea are the “Spacco della Regina”, that is a fissure in the ground forming a cave with access to the beach and the "Etruscan Tagliata", which is an ancient channel in the rock created to prevent the silting up of the Romanian port of Cosa.